Triple Seven® is a revolutionary black powder substitute that cleans up with water alone...even your hands will come clean with just water. You won?t have to worry about any strong smells either...that and the time-consuming clean-up are both eliminated when you shoot Triple Seven. 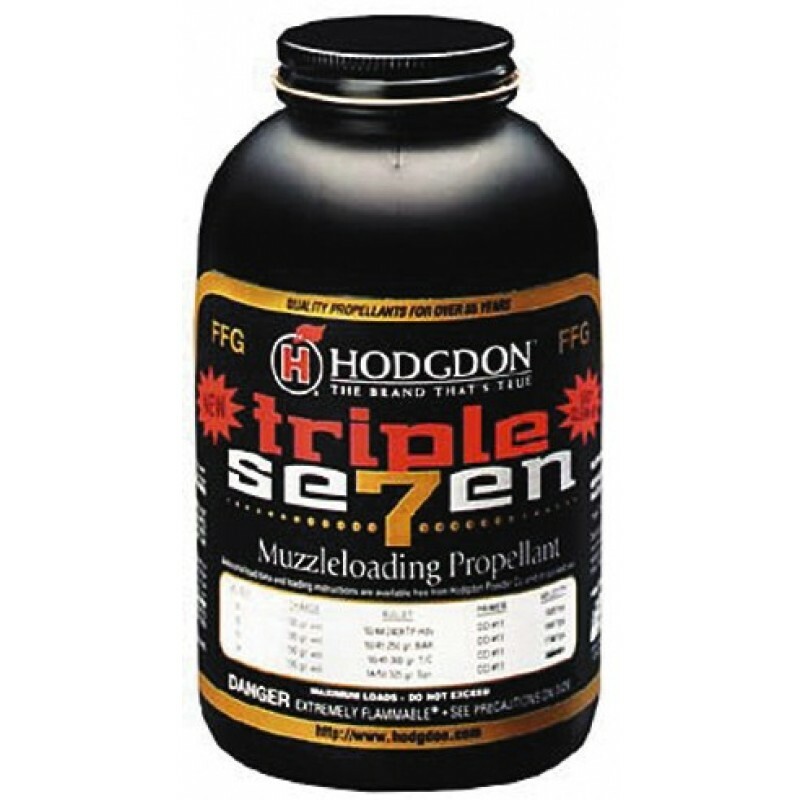 Triple Seven granular powder even delivers higher velocity for flatter, more accurate shooting. Triple Seven Pellets, are designed to have the same velocity as the famous Pyrodex Pellet, so switching over to the quick cleaning Triple Seven Pellet is amazingly easy. Clean up with water, no smell, and with the powder, flatter, more accurate shots. You get it all with Triple Seven. Now available in granulated powder; 50 caliber, 50 grain Pellets; and new 50 caliber, 30 grain and 45 caliber, 50 grain Pellets. 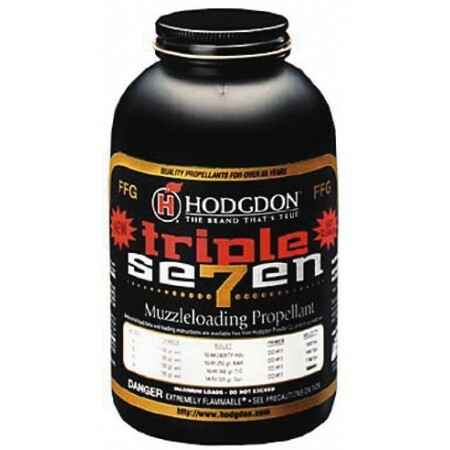 Triple Seven Pellets provide the modern muzzleloader fast, no spill, easy loading with instant ignition.